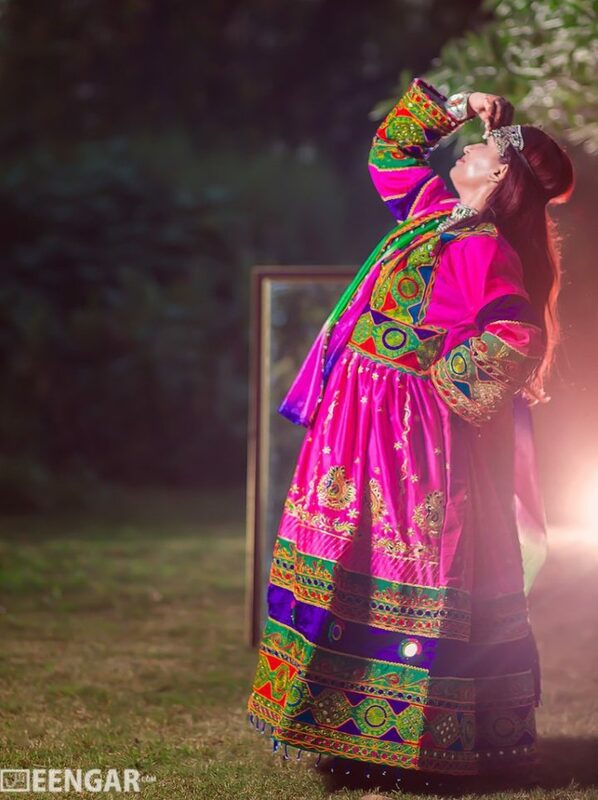 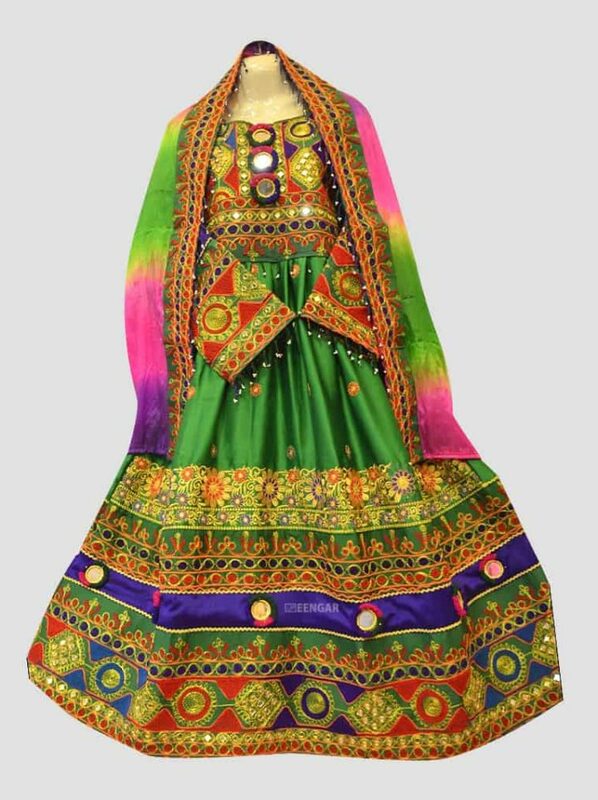 Another colorful Afghan Dress for Kids is equipped with mirror and embroidery. 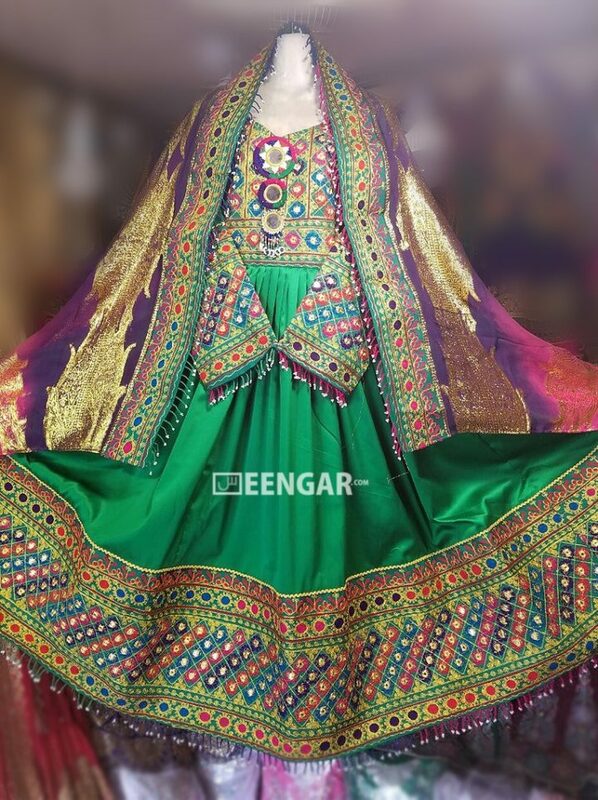 It has rainbow style Dupatta which makes it more vivid and appealing in parties or celebrations. 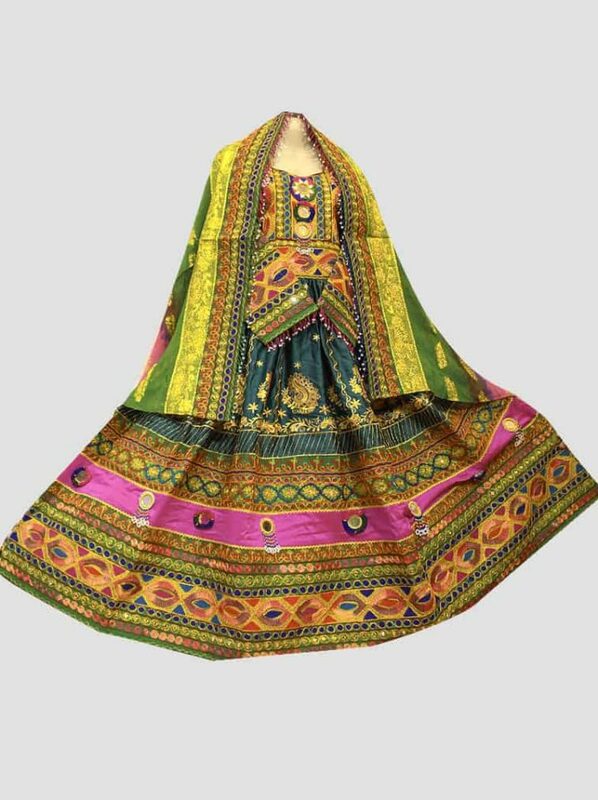 The edges of the dress has rich embroidery with yellow strip after green. 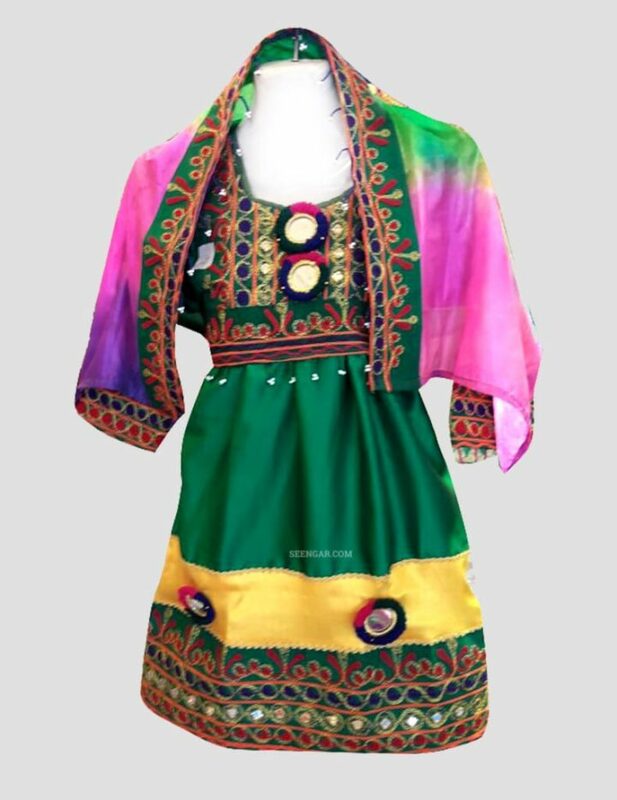 This dress is available for different age; you can check the size chart from the following link.